Although debtors are not yet experiencing a usuryfree lifestyle, usuryfree creative are convinced they are a step closer to achieving this ultimate goal. 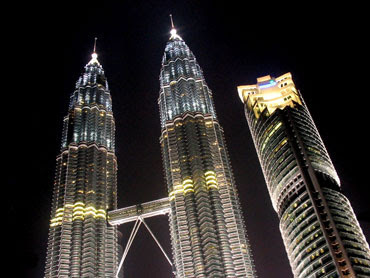 The 3rd Annual World Conference on Riba which was held at the hotel – The Palace Of The Golden Horses in Kuala Lumpur, Malaysia – on November 26th and 27th, 2012 – was the third in a series that has been held since 2010. Once again this unique, international conference succeeded in bringing together competent researchers, private market participants, policy makers, academics and enthusiastic usuryfree creatives. During this 3rd Annual World Conference on Riba, the distinguished guest speakers explored the effects that riba (usury) is having on debtors locally and globally. In summary, the conclusion is that riba (usury) is wreaking havoc on debtors – individuals, families, small to medium-sized businesses, large corporations, municipalities, provinces/states, and countries. 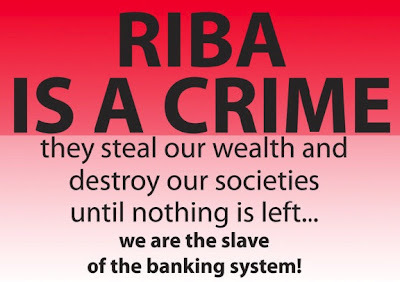 By reviewing and studying the evil and immoral effects of the design flaw of riba (usury) on our orthodox, economic system of debt money, proposed economic lifeboats or remedies are suggested – that when followed will bring debtors one step closer to experiencing the reality of a riba-free (usuryfree) lifestyle. Indeed, we are at a critical moment as the global crisis continues to deepen towards a Grand-daddy Depression of this 21st Century. 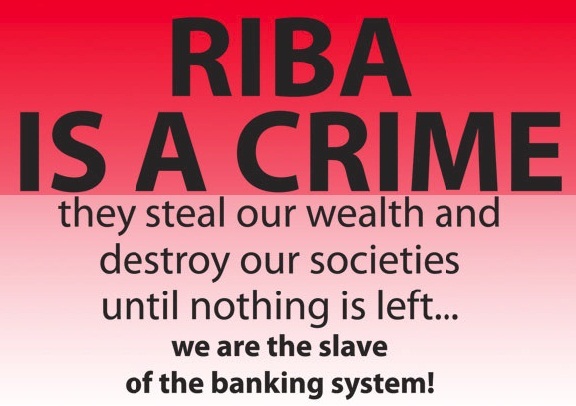 The hope of usuryfree creative is that recommendations and resolutions coming from this 3rd Annual World Conference on Riba (Usury) will be implemented with a goal to target the killer machine of riba (usury). Attendees at the conference are resolved that fundamental changes to the existing debt money system are essential if we-the-debtors are to save ourselves from future economic enslavement. A key resolution is to focus on re-educating The Court Of Public Review with lessons about economics that formal education neglects to teach. Individuals and organizations are invited to team-up with RIFCON with the sole objective of emancipating debtors (humankind) from the evil and immoral effects of the design flaw of riba (usury). The crucial issue of housing and housing loans was addressed as a focus issue at the conference. The newly launched KOPSYA and the musharakal mutanaqisah home financing were two workable solutions presented at the conference to address the housing and housing loans issues. The usuryfree time currency movement was lauded as the optimal currency of choice to be implemented in local communities that are seeking workable and proven strategies that can be relied on as economic lifeboats in the realm of micro-economics – should their usury-based titanic of debt money sink in the sea of macro-economics. This year’s 3rd Annual World Conference on Riba (Usury) confronted the issues both at a micro and macro level. Both the organizers and the attendees are firm in their belief that in order to surmount and surpass any economic catastrophe, our proposed economic solutions must have high level resilience, responses that are hands on and reforms that are real and just. I highly recommend for debtors from anywhere and everywhere to make plans to attend the 4th Annual World Conference on Riba (Usury) - the location and place will be made public - probably in February 2013. The organizing committee welcomes financial support for future conferences from individuals or companies that understand how "riba" or "usury" is causing economic havoc to debtors everywhere. If you as an individual or as owner of a company are ready and willing to play a role in making the world a better place - socially, economically and politically - then contact myself and I will put you in contact with the organizing committee for the 4th Annual World Conference on Riba (usury). Indeed, we are one step closer to UsuryFree Living or LaRiba Living, but we still have many more steps to take before we will all experience the reality of usuryfree living. After all, “None of us is freed from riba (usury), until all of use are freed from riba (usury)." 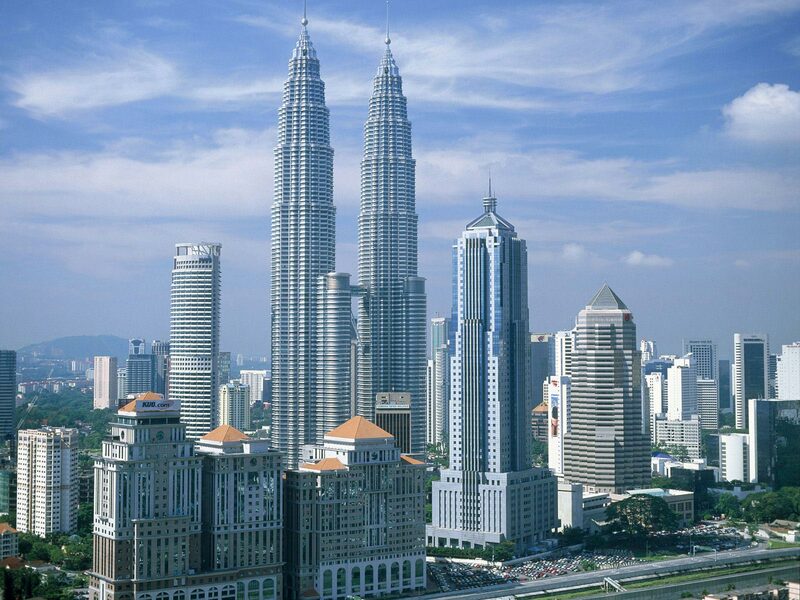 Firstly, let's clarify the geographical location of Malaysia in general and Kuala Lumpur in particular with a few maps. 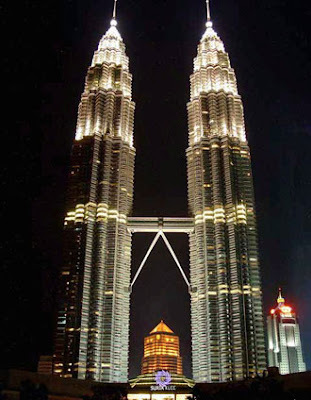 On Wednesday, November 27, 2012, I was honoured to be the guest of Shirazdeen Adam Shah - who took me to the downtown area of Kuala Lumpur, Malaysia for dinner a Thai restaurant, in the area of the famous Petronas Twin Towers. Shirazdeen was the Chairman of the organizing Committee for the 3rd Annual World Conference on Riba. Indeed, the Petronas Twin Towers are the crown jewel of Kuala Lumpur and I am grateful for the opportunity to have visited that area of the city - a stunning and spectacular view at night. The Petronas Twin Towers were constructed during the Presidential reign of Tun Dr. Mahathir Mohamad, Former Prime Minister of Malaysia (1981-2003) - who delivered the key note address at the 3rd Annual World Conference on Riba on Monday, November 26th, 2012. His keynote address was titled: "The Global Socio-Economic Turbulence - What Collective Actions Nations Can Take." NOTE: I highly recommend this annual world conference on Riba (Usury) - and if possible do make plans to attend the 4th Annual World Conference on Riba - the location and place will be made public - probably in February 2013. The organizing committee welcomes financial support from individuals or companies that understand how "riba" or "usury" is causing economic havoc to debtors everywhere. If you as an individual or as owner of a company are ready and willing to play a role in making the world a better place - socially, economically and politically - then contact myself and I will put you in contact with the organizing committee for the 4th Annual World Conference on Riba. Wikipedia's explanation of the Petrona Towers. 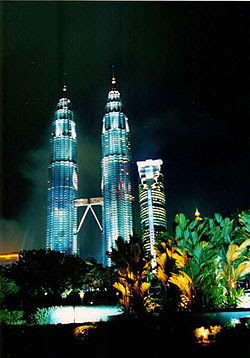 The official website for the Petronas Towers. 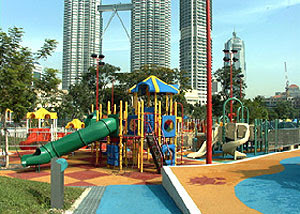 A comparison with other tall towers. 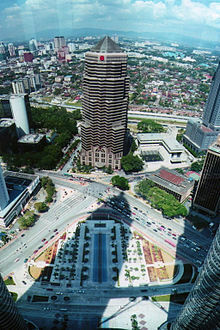 Below are a couple of video clips of the Petronas Towers. 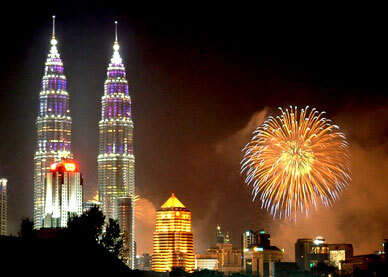 Introduction: As written in the program for the 3rd Annual World Conference on Riba, that was held in Kuala Lumpur, Malaysia on November 26 & 27, 2012. Session 10 will be given by Tom J. Kennedy, usuryfree creative and blogger at The UsuryFree Eye Opener. His topic is: "The UsuryFree Resolution: Time Will Usher In A New Age Of UsuryFree Living." By Tom J. Kennedy aka "Tommy UsuryFree Kennedy" or Tommy LaRiba Kennedy"
NOTE: At the 3rd Annual World Conference on Riba, I was tagged with "Tommy LaRiba Kennedy" - as that is the translation of "Tommy UsuryFree Kennedy." 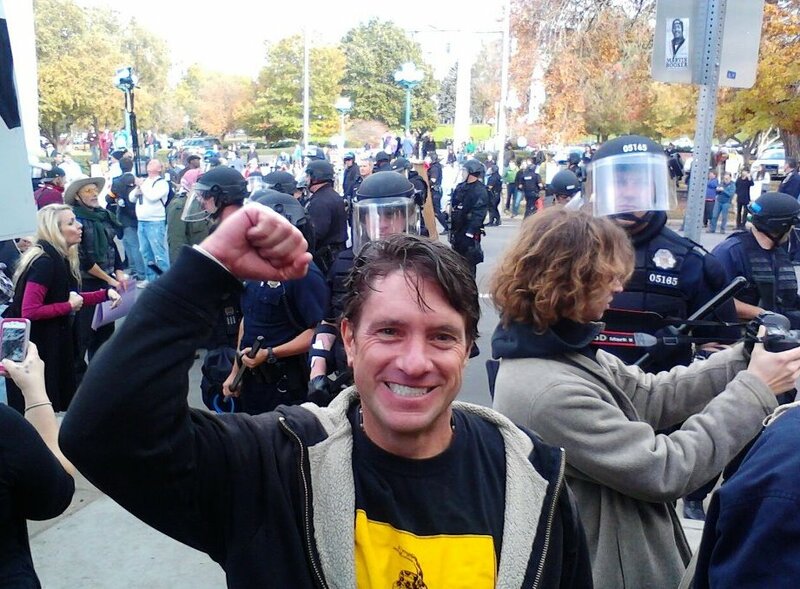 Why are more and more debtors inspired to seek a universal resolution for local, national and global monetary reform? The answer to that question is simple - because, malfunctioning elements within our orthodox, economic system of usury-based, debt money are being exposed. Dedicated usuryfree creatives with a singular talent for researching are committed to sharing with debtors the truth about modern money creation by producing results - written documents, countless video documentaries, and real life experiences of people pursuing the usuryfree lifestyle. The actions of these motivated usuryfree creatives are inspiring enough to initiate economic changes that will eventually motivate all debtors to joyfully experience the reality of a usuryfree lifestyle. Indeed, there was "Life Without Usury" in the past and there will be 'Life Without Usury" again - in the not-too-distant future. On November 14, 1914, The Montreal Star published an explicit graphic whereby a woman is bound and gagged with a cloth and chain. The caption for the graphic read: “She Will Out In Time.” Obviously, the woman is not free, but enslaved. 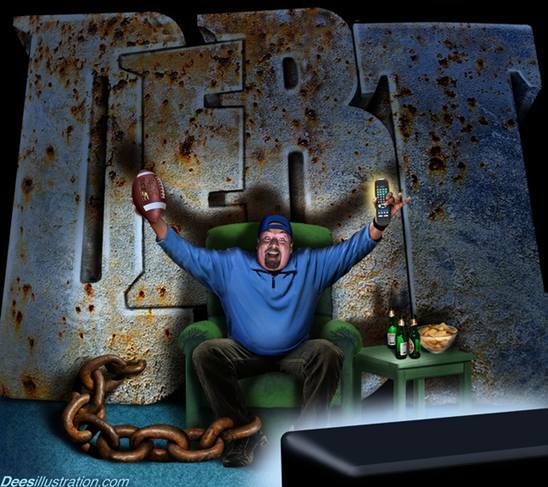 Using that analogy, debtors everywhere are financially enslaved because of the evil and immoral effects of the design flaw of usury on our orthodox, economic system of debt money. 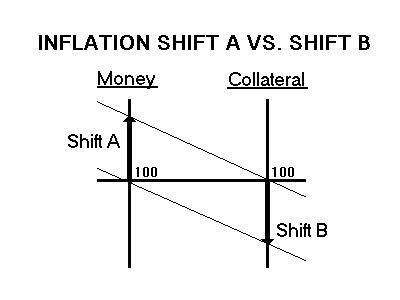 It is my conviction that the usuryfree time currency movement has the potential to become the alternative currency of choice at the micro-level of economics. I view the quote: “She Will Out In Time” as a very powerful and revealing statement because, ultimately, debtors will experience true economic freedom when usuryfree time currencies are fully operational everywhere - locally, nationally and internationally. This paper outlines bits and pieces of the recent history of the usuryfree community currency movement with a focus on usuryfree time currency as the optimal currency to facilitate trades or exchanges - locally, nationally and internationally. The UsuryFree Network which was founded in the latter years of the 20th Century has been assuming a leading role in promoting The UsuryFree Eye Opener, The UsuryFree Resolution, UsuryFree Radio, UsuryFree Day, UsuryFree Week and the Year of UsuryFree Living - all of these entities advocate usuryfree time currency as the alternative currency of choice to accelerate and advance the reality of usuryfree living for everyone on planet earth. The UsuryFree Network is a vehicle that (a) exposes the design flaw of usury for the evil and immoral function that it levies on our orthodox, economic system of, debt money and (b) promotes the usuryfree community currency movement as our last, best hope to save ourselves from future financial enslavement - all within the scope of the micro-level of economics. The UsuryFree Eye Opener - the electronic arm of the UsuryFree Network became active as a blog in 2009. The UsuryFree Eye Opener has over 550 postings of information to help advance our mission of creating a usuryfree lifestyle for everyone on this planet. Our motto is 'peace and plenty before 2020.' The UsuryFree Eye Opener publishes not only articles related to the problems associated with our orthodox, usury-based, debt money system but also focuses on the solutions as offered by active usuryfree creatives. If every debtor studied and shared the information posted at The UsuryFree Eye Opener, our orthodox, economic system of usury-based, debt money and its evil, immoral and malfunctioning elements would be forever exposed. Additionally, there would be universal resolve to have it replaced with a usuryfree economic system that would guarantee peace, prosperity and abundance for everyone on planet earth. The UsuryFree Resolution was launched by The UsuryFree Network on May 13th, 2001. On May 13th, 2012, we honoured the 11th Anniversary of The UsuryFree Resolution, but we are not yet celebrating any heroic victory for usuryfree living, as debtors everywhere are still suffering severe, economic pain. The good news is that the usuryfree time currency movement is quickly gaining momentum as more and more debtors awaken to the lies, deceits and deceptions being foisted upon them by the controllers of our orthodox, economic system of usury-based, debt money. UsuryFree Day and Week and Year:Our 8th Annual UsuryFree Day and UsuryFree Week was launched on November 13th, UsuryFree Day. UsuryFree Week followed until November 19th, 2012. During the 8th Annual UsuryFree Week the Year of UsuryFree Living was announced and it will end on November 13th, 2013. During UsuryFree Week each year seminars and workshops are held in local communities (a) to expose the design flaw of usury for the evil and immoral function that it is and (b) to promote the usuryfree community currency movement with a focus on usuryfree time currency as the optimal solution. The first UsuryFree Day was celebrated on November 13th, 2005 in Tamworth, Ontario, Canada to honour the first anniversary of Tamworth Hours. Indeed, it is the exacting of usury by creditors, on loans and mortgages to debtors that causes devastation, destruction, poverty, scarcity, lack and even death - both locally and globally. Who are these debtors? They are individuals, families, small to medium-sized businesses, major trans-national corporations, provinces, states, towns, cities, municipalities and even countries. The evil and immoral impact of the function of usury on our orthodox, economic system of debt money has been causing havoc for debtors everywhere, simply because debtors cannot possibly survive financially in a rigged game - where there is a forever shortage of usury-based, debt money. For lack of knowledge, debtors are agreeing to sign promissory notes - which are impossible contracts - when they apply for loans and mortgages from financial institutions. Unknown to most debtors, the creditors are only issuing into circulation, the principal of any loan or mortgage. The usury portion of any loan or mortgage is never created and issued into circulation by the creditor simultaneously with the principal portion of the loan or mortgage. Therefore, there is by design an ever-present shortage of money in this rigged game of financial chairs, whereby adult debtors are the willing players - who apparently have forgotten about the game of musical chairs which they played as children, whereby one child was knocked out of the game when the music stopped because there were less chairs than children. Applying that analogy to the adult debtor’s game of financial chairs, one realizes that, in fact, the creditor is risking absolutely nothing while the debtor is risking his/her asset by virtue of the signature on the promissory note. The result is obvious - bankruptcies, foreclosures, poverty, scarcity, lack and even death - are evident everywhere on planet earth. My experience in the Philippines:I never imagined that I would have an opportunity to be in this part of the world two times within a six month period. 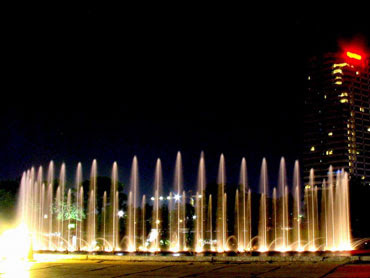 My son, who operates a business in Cebu City, Philippines bought me a ticket to visit him in April/May 2012, and now I am back here in Malaysia in November 2012. During that trip to the Philippines, it became evident to me that while in Canada, our social system makes a gallant effort to hide the visual effects of usury, in the Philippines, the evidence of poverty, scarcity and lack is forever in your face as you travel in either urban or rural areas. This article titled "The Manifestation of Real Crisis and Its Deadly Effects To All," authored by Eric V. Encina, a native Filipino is compulsory reading for anyone who wants to understand the severity of the economic crisis in the Philippines or elsewhere in any so-defined, third world country. It is unfortunate, that debtors, for lack of knowledge, continue to sign impossible contracts drawn up by creditors - who with the support of their corrupted Justice (JUST-US) system - commonly enforced by police with guns - they constantly swindle and steal real property and wealth from debtors who for any multitude of reasons, are unable to make the monthly payments for the principal and usury on their respective loans and mortgages. In English, the word for a house loan is mortgage. The French translation of mort-gage is death-gamble. The usual French word for a mortgage is “une hypothèque” - because the real meaning of the word “mortgage” is too obvious and the astute, French debtors would ask too many questions and question the answers. It is true, that debtors everywhere, who are seeking house loans and mortgages are being cajoled and coerced to sign impossible contracts prepared and presented by the creditors. For the most part, these ill-informed debtors are actually gambling that they will successfully manipulate their local, economic marketplace, so that they will earn sufficient money to be able to repay both the principal plus the usury portion of their loan or mortgage. Indeed, judging by history, those debtors who hustle a little more than other debtors and given a bit of simple good luck, they may be able to pay back both the principal and the usury portion of their mortgage. Other debtors who learn to lie a little bit, cheat a little bit, and/or steal a little bit from the system, and maybe learn to be just a little bit greedy, may come up with enough dollars to repay both the principal and the usury portion of their mortgage. But guaranteed, not all debtors will be able to repay both the principal and usury portion of their mortgages - simply because by design, there is a shortage of dollars in the economic system of debt money. The evidence of the shortfall of money is all around us - both locally and globally. 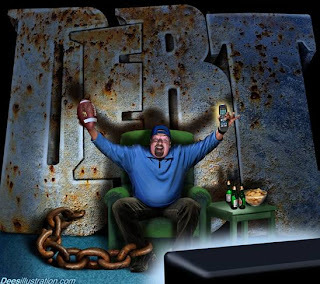 Most debtors in this world are what you might describe as “usury-burnt.” In almost every country on planet earth, you will find hordes of disgruntled, usury-burnt debtors who are pested and plagued by the ultimate effects of the function of usury on our local and global debt money systems. I repeat, debtors everywhere are uneducated and unaware that they are being deceived as they are cajoled and coerced to sign impossible contracts with bankers when they seek loans and mortgages. 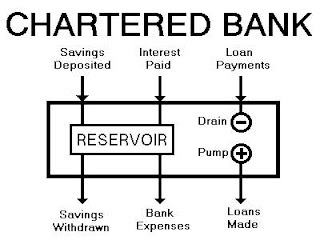 Ask any debtor this simple question: “Where do you think the banker got the money to lend you for the loan or mortgage?” The most likely answer will be: “The banker got the money for my loan or mortgage from “depositors’ funds.” Nothing could be further from the truth. The Argentine Solution won John a prize in 2012, for the best video-solution that promotes usuryfree living. In summary, the Argentine Solution advocates the idea of paying workers with small-denomination government bonds or currencies which they can then use to pay for power, taxes, licenses and medical expenses. This idea could be implemented anywhere and the time to do it is NOW! 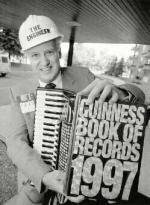 Since the early 1980’s, John “The Engineer” Turmel has inspired many other usuryfree creatives and motivated them to action. One individual who deserves honourable mention is Wayne Walton from Summit County, Colorado, USA. Wayne assumed a leadership role early in 2012 and in just a few months he helped launch usuryfree time currencies in six communities in the USA. (a) Mountain Hours (b)Mile High Hours (c) Clearwater Hours (d) Island Hours (e) Vols Hours (f) Peak Hours. And from mid-June, 2012, until mid-October, 2012, Wayne Walton hosted a two hour, interactive UsuryFree Radio program on the Republic Broadcasting Network. It aired on the internet five days a week and all programs are archived. Wayne hopes to have UsuryFree Radio re-launched in the not-too-distant future. As I mentioned earlier, the devastating effects and general destruction of usury are evident everywhere, BUT it is much more obvious in the countries of the so-defined “third world.” The whole society of planet earth stinks and rots because of the immoral and evil effects of the design flaw of usury on our faltering and failing, orthodox, economic system of debt money. As we progress in this Year of UsuryFree Living, let’s learn to create and spend our own usuryfree time currencies in our respective, local communities. Let’s learn from and follow the examples of Tamworth Hours (a project in Tamworth, Ontario, Canada, temporarily shelved) and Ithaca Hours, (a proven model in Ithaca, New York, U.S.A., that has been functioning since 1991 - that’s 21 years of success) and Mountain Hours (a more recent project in Summit County, Colorado, U.S.A.,launched earlier in 2012). Indeed, there are many other successful models of usuryfree time tokens in North America and probably elsewhere. The usuryfree time currency is represented by paper notes or tokens in denominations of hours and minutes. This usuryfree time currency is neither socialistic nor capitalistic. In fact, the concept of implementing a functional, usuryfree time currency system to facilitate the exchange of products and services is a simple synthesis of (1) the best from 'socialism' and (2) the best from 'capitalism’ - all blended for the mutual benefit of all who choose to participate. Furthermore, neither 'casino chips' nor 'tokens of time' ever inflate. Neither do usuryfree hours ever inflate because one hour of time will always be worth 60 minutes. Why is it that usury-bearing dollars always inflate? Could inflation really be the reverse of what we've been told? As mentioned above, John “The Engineer” Turmel published the document “The Big Lie of Economics” proving that “usury” is the real cause of inflation. Usuryfree time currency is acceptable to anyone who chooses to accept it. The visionaries of the world are already accepting usuryfree time currency because they expect that it will be replacing 'usury-bearing' dollars as we know them. Because one person is too afraid to accept another person's usuryfree time currency does not mean that it is NOT acceptable. It just means that one person does not trust the other person. I encourage the visionaries to build an online, loyal database of individuals and businesses so that we can all have access to any product or service that we need NOW or that we may need in the future. I know that my one hour of time will appreciate in value as technology improves. By putting in my hours of time today to explain this paradigm shift to usuryfree time currency I will be abundantly rewarded. When I seek to spend my usuryfree hours of time in the future, I will get better products and improved services than what my hour of time will buy today. 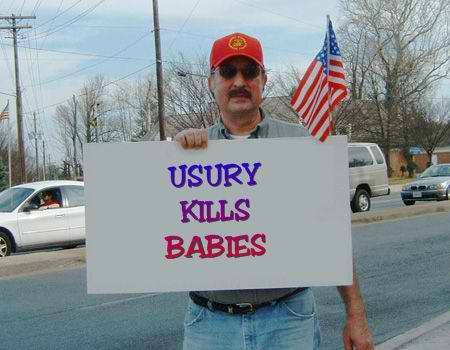 BTW - there are various samples of usuryfree community currency posted at this link. Readers are invited to share links to other working models of usuryfree time tokens. By the time we reach our 13th year for The UsuryFree Resolution, let’s aim to have multiple thousands of usuryfree, time token, economic systems fully functioning and enhancing the “shop local” movement. Let’s do it NOW! When we have multiple thousands of local communities, scattered all around planet earth whereby local consumers are negotiating trades with local entrepreneurs, while acquiring the truth about modern money creation, we will create that shift in consciousness. Mathematicians have explained that when 3% of the population, grasp and move ahead with an idea, the other 97% will soon follow. The knowledge and resources of how we-the-people can create and spend our own usuryfree, time tokens are readily available from experienced time-traders who are proving that the time-trading model is the optimal model to adopt - both locally and globally - simply because one hour of time has a value of 60 minutes on every continent. So, instead of continuing to rely on their (bankers’) money and paying them a fee - usury, let’s learn to create and spend our own time tokens for FREE! At my blog, I published an article titled “The Innovative Proposal.” It explains how municipal politicians could immediately take action to implement a usuryfree time currency in any municipality. 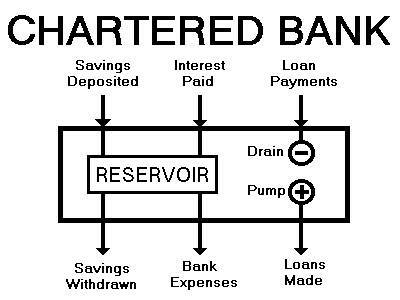 Astute debtors will no longer be subservient to creditors - that have been relying on lies, deceits and deceptions to trick the debtors into signing impossible contracts whereby the usury portion of loans and mortgages is never created and issued into circulation simultaneously, when the principal portion of the loan or mortgage is created and issued into circulation. Re-educated debtors everywhere, will unite when empowered and our ultimate reslove will be The UsuryFree Resolution - without the Revolution!! We simply resolve to promote and foster proven, economic models of usuryfree living, thereby allowing the broken model of usury-based, debt money to eventually collapse and disappear. The end result will be that usury will be abolished forever, and there will be peace, prosperity and abundance for every individual - anywhere on planet earth. In the interim period, as the UsuryFree Resolution evolves to completion, strategies will be sought to mitigate the negative impacts of the design flaw of usury. Two strategies come to mind immediately: (a) evade usury and (b) avoid taxes. Yes, it is still legal to evade usury and it is still legal to avoid taxes, though it is illegal to evade taxes. It is important to avoid taxes simply because the majority of tax dollars extracted from one’s earnings goes directly to pay debt service for the various levels of government. Debt service is correctly defined as usury. If as a society, we-the-debtors evaded usury to the best of our ability and avoided taxes by implementing creative strategies, the entire world would lighten up and we could experience “peace and plenty by 2020.” Way back in the mid-20th Century, Buckminster Fuller predicted we could achieve that goal, so let’s do it NOW! An example of a creative strategy to avoid taxes would be for every employee or salaried individual to launch a part-time, home based enterprise and thereby as an active entrepreneur s/he qualifies to deduct legitimate business expenses, only available to business owners. The article titled The Tax Benefits of an SDI Enterprise explains many ways that part-time, SDI entrepreneurs can legally avoid taxes - especially during the early years on any business launch. The additional benefit for becoming a part-time entrepreneur is that one would have access to products and/or services at wholesale prices. These products or services could then be listed on our participating databases of active time-traders who are negotiating trades using a combination of usury-based, debt money and usuryfree time tokens during these transitory times. I recommend that debtors everywhere learn about the SDI (Self Directed Income) Industry - as the optimal sales and marketing industry of this 21st Century. There is an abundance of information about the SDI Industry at the blog titled - The SDI Eye Opener. This article titled: “Analysis, Projections, Observations & Proposals For The SDI Industry” is perhaps the best starting point to learn about the SDI industry. After becoming familiar with the SDI Industry, then make your choice on which company’s products you would like to add to your Portfolio for the purpose of bartering/trading with other participating time-traders in your local community. Furthermore, as active time-traders we can divert any earnings of usury-based, debt money that is now saved on a monthly basis to paying off any outstanding debts - for it is the growth of outstanding debt caused by usury, that inflicts the greatest economic pain. As an alternative, time-traders are invited to make donations to groups or charitable organizations that will use the money to promote and foster the growth and development of the usuryfree time token movement in our respective local communities. In Canada we have The Family Life Foundation, a duly registered charitable organization that supports the usuryfree community currency movement. The restoration of usury-burnt debtors will help to re-vitalize local economies first and global economies later. Let’s make a gallant effort to re-educate our fellow-debtors who are evidently usury-burnt. In turn, when re-educated, they will first empower themselves and then they will reach out and empower others in their respective circles of influence. We, the active usuryfree creatives have lots to do before the 12th Anniversary of The UsuryFree Resolution, the 9th Anniversary of UsuryFree Week and the 4th Anniversary of the Annual World Conference on Riba. If countries everywhere implemented The Argentine Solution immediately, we could all be experiencing the reality of usuryfree living during 2013 - The Year of UsuryFree Living. "NO HOLDS BARRED" INTERVIEWS at 3rd World Riba Conference 2012 by The Capital TV"